“GLOW” AT THE CLEVELAND BOTANICAL GARDEN! 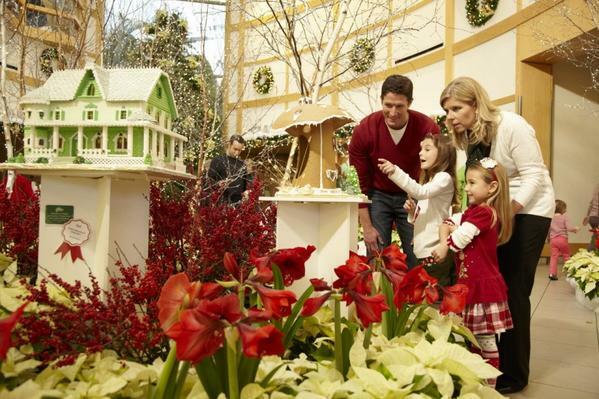 Cleveland Botanical Garden’s holiday spectacular and one of Cleveland’s celebrated family events returns bigger and better than ever before. 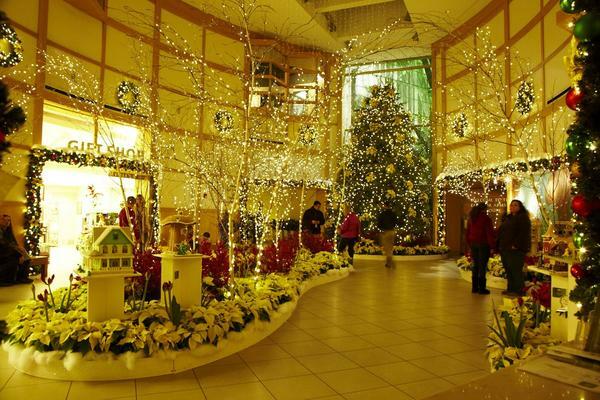 Glow will transport you into a world of festive flowers, decorated trees and illuminated foliage. Glow offers families the perfect “choose-your-own-adventure” style event. With so many holiday activities, there is plenty to see and do. All aboard! 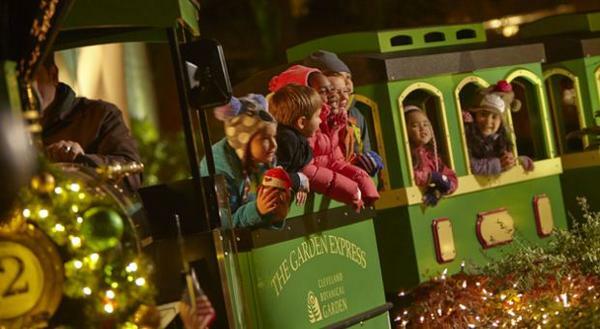 The Garden Express takes riders on a fun-filled journey from the Geis Terrace to Hershey Children’s Garden and back, trekking along garden paths illuminated with twinkling lights and lively decorations. The ride is magical at night. Every day of Glow, in Town Square Village, there are sleigh fulls of musicians, bands and carolers, serenading you with holiday classics. 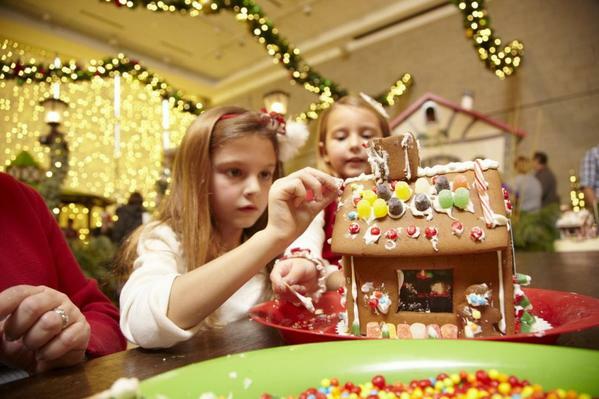 Kids and grown-ups alike can decorate their very own gingerbread houses to take home with fanciful colors of gumdrops and frosting. Make memories to savor, while you build your entirely edible masterpiece! 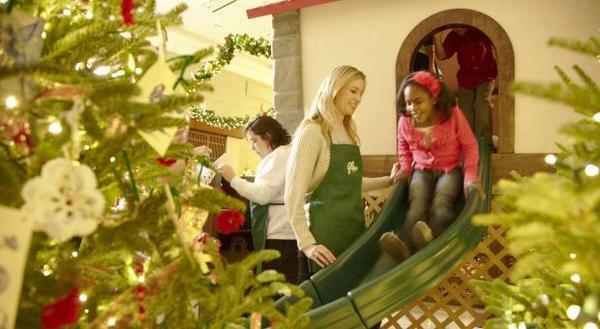 At the Treetop Shop, kids enter a charming tree house where friendly elves help them pick out gifts for parents, grandparents and siblings. A trip to the Wishing Tree gives a new meaning to the word “Glow.” You and your family share your dearest wishes for the season with each other, then hang them on the tree. Enjoy reading some of the other wishes. A forest of evergreen trees surround you. Fraser firs standing six, eight and ten feet tall, are festively adorned by members of the Garden’s Affiliate Garden Clubs. You’ll encounter close to 40 trees in all – each one with décor inspired by this years theme. Every year, thousands of visitors attend to marvel at various gingerbread creations exhibited throughout the event. There has been everything from the Eiffel Tower to an Ohio farm complete with fondant animals. Every year, new and incredible pieces are on display. You’ll be amazed at what Cleveland’s edible architects have come up! There is something for everyone at this delicious family event. So make your spirits bright and set your holiday a-Glow. Glow transports you into a world of festive delights! Have breakfast with Santa and experience Glow exclusively on select Sundays in December. For more information or to make a reservation, click here. Tickets are available online at Cleveland’s Botanical Gardens or by calling (216) 721-1600, ext. 274. 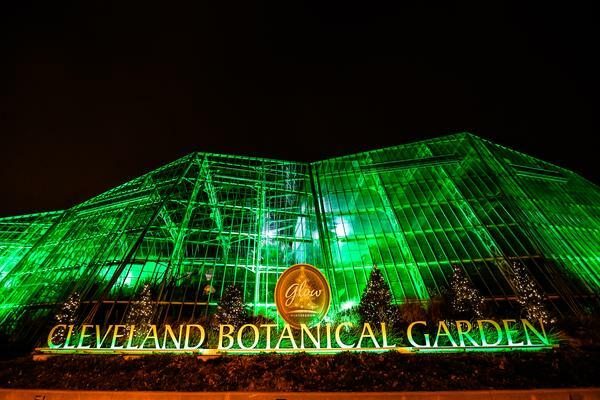 For a map, parking information and directions to Glow at Cleveland Botanical Gardens, click here.